adorable, but are you frustrated with trying to teach your little one to go potty in the right place? House training a puppy the right way takes patience, but it's definitely worth it. I understand your frustration. My female Maltese Marley is paper trained and never has an accident, but my male Maltese Poodle Disco has been much harder to train. While trying to find a solution to this problem, I discovered some great tips on potty training a puppy. I'm made a list below of the best tips and tricks to get your Maltese puppy housetrained in no time. Do you have any Maltese housebreaking tips? Tell us about it! Have a consistent schedule - It may sound like alot, but taking a small puppy out every hour is needed to make sure they have a chance to go. Keep him crated - If you're at work and can't take your puppy out every hour, keep him crated and have a neighbor let him out a few times a day. Praise your puppy - Give your Maltese a play session, toy, treat or praise if he successfully goes potty outside. Yelling - Unless you catch your puppy in the act, he won't even know why you're mad at him and will become nervous and afraid. Rubbing his nose in his messes - This also won't have any affect on your Maltese except to make him scared of you. Leaving him unattended - If your Maltese puppy is left to roam the house when no one is home to watch him, he'll be sure to have an accident. I hope these tips help you get started, but I'm not a puppy house training expert so if you need more help house training a puppy, I highly recommend The Complete 7 Day Potty Training Guide. 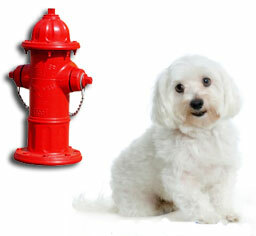 It's guaranteed to have your Maltese dog potty trained within 7 days, you can't beat that! 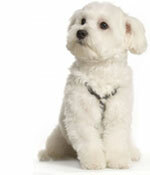 Learn some more housetraining tips from other Maltese dog owners. Do you have any Maltese puppy housebreaking tips? If so, you and your dog could be famous! Please tell us all about how you house trained your Maltese puppy and we'll put it on our website. What steps did you take to potty train your puppy? Was it hard or easy? Let other Maltese Maniacs know what are your best tips on housebreaking a puppy.